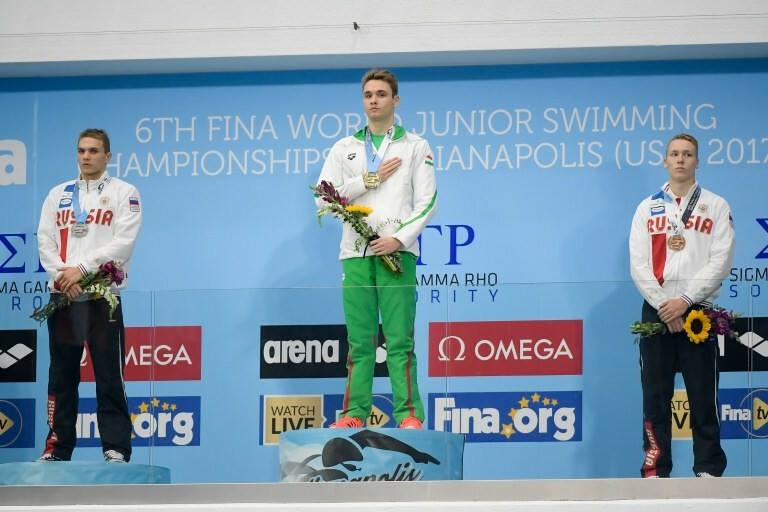 Kristóf Milák continued his superb season to win Hungary's first individual gold medal in the history of the International Swimming Federation (FINA) World Junior Swimming Championships in Indianapolis. 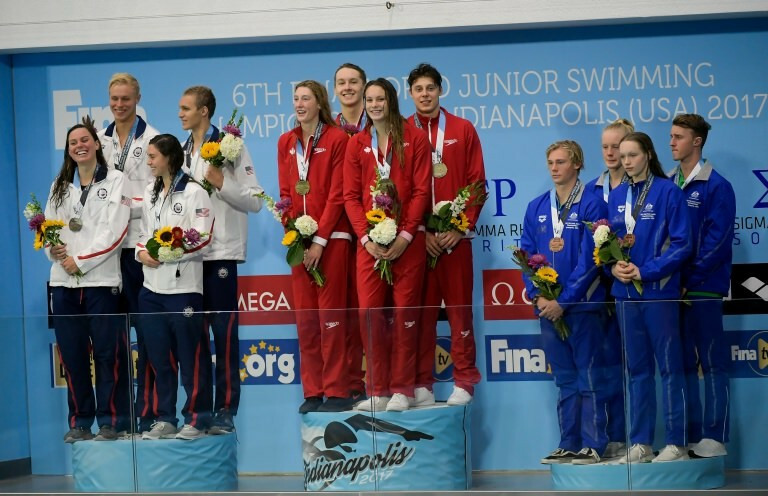 Milák, a silver medallist at last month's FINA World Championships in Budapest, was pushed hard in the 100 metres butterfly before touching the wall first in a meeting record 51.08sec at Indiana University Natatorium. Russia's Egor Kuimov finished 0.08 seconds behind in second as team-mate Andrei Minakov took bronze in 51.84. Milák had already won a gold medal when anchoring Hungary's victorious men's 4x100m freestyle relay quartet. "Here almost everyone is dying from the exhaustion as it’s a terribly long season with a lot of races," the 17-year-old winner said. "I competed at the junior Europeans, then in Budapest and now here. "I've never seen anything similar in my dreams what’s happened to me so far this summer, especially the silver at the Worlds in Budapest." It was not a perfect day for Milák and Hungary, however, as the mixed 4x100m freestyle relay team that he led off were disqualified for a false start. Ruslan Gaziev, Alexander Pratt, Taylor Ruck and Olympic 100m freestyle champion Penny Oleksiak of Canada took 1.06 seconds off their own world junior record set two years ago in Singapore to win the final. They clocked 3min 26.66sec to finish 1.52 seconds clear of United States. Australia took the bronze medal in 3:28.57. America's Regan Smith also claimed her second gold of the Championships as she added the 200m backstroke to her earlier 100m title. Smith won in a meeting record of 2:07.45 to finish comfortably clear of US team-mate Alexandra Summer, second in 2:09.04, and Natsumi Sakai of Japan, third in 2:09.34. Michael Abruzzo claimed the second home win of the day by winning the 800m freestyle in 7:44.58. He was challenged well before finishing 2.23 seconds clear of David Lakatos of Hungary. 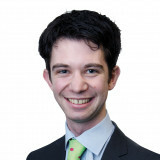 The bronze medal went to another American, Michael Brinegar, in 7:57.22. Britain claimed the day's other win courtesy of Fraye Anderson in the women's 100m freestyle. She clocked a Championship record 53.99 to beat Japan's Rikako Ikee by 0.15 seconds. Kayla Sanchez of Canada finished 0.56 seconds behind the winner in third.